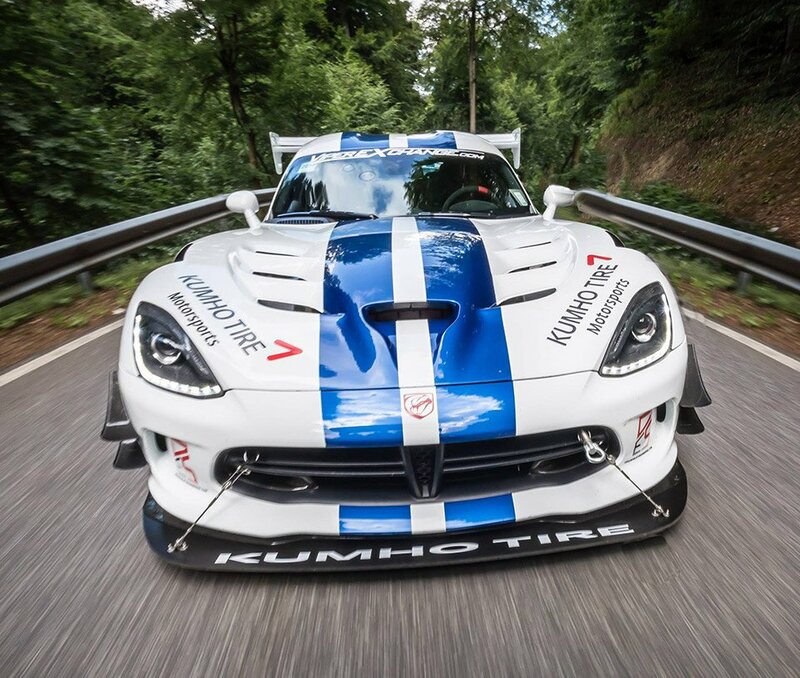 A private racing team has taken a stock 2017 Viper ACR to the Nürburgring to see how fast the final generation Viper ACR would go around the Ring. With a legitimate pro driver behind the wheel, it turns out the car will go around the ring very quickly indeed. Driver Dominik Farnbacher took the GTS-R Commemorative Edition Viper ACR around the Ring in an unofficial 7:03.45 run in what is said to be the first traffic-free timed lap on a dry track for the car. The last official Viper ring attack was in 2014, and Farnbacher was the driver then as well. That 4th gen Viper lapped the track in 7:12.13, so he improved his time by nearly 9 seconds. Farnbacher plans to run the car again tomorrow to see if he can break the 7 minute mark. He sure thinks he can go faster. The only changes to the car from stock were Kumho Ecsta V720 tires and the livery. The ring attack was crowdfunded, and the Vipers used were purchased from Viper Exchange, a dealership in Texas specializing in Vipers.